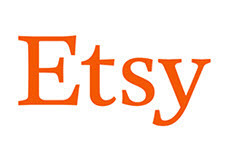 Etsy is investigating a major problem with its site today. Just before noon, it tweeted that it was investigating a problem with search ("Some search results are out of date"), but sellers say their new listings are not posting to the site at all. We're currently investigating delays with newly published or renewed listings appearing in search. We've issued an Etsy Status (here) and you can subscribe for text or email updates on that page. I'll be tidying up the majority of the threads about this issue without comment, but will be leaving the most active thread open for discussion until we've got this corrected. Also, if having update threads like this pinned to the top of Bugs is helpful to you, please hit the like button. "So, turns out there is a bunch of issues happening now! Looks like any changes we make in our shops are not applied! New listings are not visible, renewed listings are not visible and canceled sales/special offers are still there!! I still see "Eligible orders ship free" under my items though I canceled this offer!" That thread was started at 6:43 am this morning. It's not clear if Etsy has any plans to compensate sellers for listings that missed out on visibility once it fixes the problem. Keep us posted on what you're seeing and how it's impacting you. It *just* posted an update after we posted this: "Recovery is in progress." Posted 1 minute ago. Apr 15, 2019 - 18:50 UTC"
Whiel they are in the search code, tell them to remove the results by location algorithm ( shows item closest to the buyer instead of everywhere, results by cookie tracking algorythm ( show results for items it finds you've looked at on other sites, which is inane), and other idiotic search algorithms. So now Etsy is once again copying Ebay trying to show the buyers only what they want them to see, possibly on the highest priced items so they make more money? Ever since Silverman has been the CEO he has done nothing but copy Ebay whose current CEO has shown that he is clueless. So is Etsy going to follow Ebay down the Rabbits Hole into oblivion? Ebay doesn't show highest prices, they show lowest china prices. Not once has any of their mistakes been to the benefit of the Sellers. It's always something that makes it that much harder for us, especially when they screw up search. "it tweeted that it was investigating a problem with search"
You mean the fact that it doesn't work and show me what I am looking for? Easy fix. Stop playing with algorithms and AI to impress Wall Street. It's the same problem that eBay has. Show the buyer what they are looking for which is simple basic search. You're like Rick Perry putting on glasses to look smart. Yup, that's what happens when one starts manipulating what they have been manipulating that ought not be manipulated. So is there even a mention of repaying sellers or giving them a credit for the loss of service? Are you kidding? Etsy barely admits it when they’re wrong. Ever. They think they’re doing us a favor if they show our listings at all. Young pups out of school with absolutely no experience in e-commerce have been running the show for some time: basically running OUR businesses from behind a computer. Its been a joke for a very long time, and only getting worse. No accountability or reparation from Etsy EVER is right. Sales down by huge margins for so many people and they are bailing. Etsy thinks they can push people around and just replace when they've had enough - but that's not true, those people have voices, and reputation matters. With 1 - yes just ONE sale this month, I knew something is wrong. Geez, take my money and you don't supply what you are supposed to???? Can I get my money back for the listings I made so far this month???? I know they won't, but, c'mon - stop making changes if you aren't going to beta test them!